An old abandoned childrens park surrounded by railing. 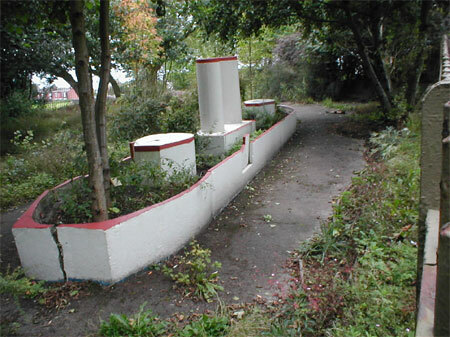 This area has been cleaned up with permission from the Council, who have cleared pathways. Look out for the Goldfinches and a pair of breeding Bullfinches on the Niger seed feeder. They are a delight to behold. Hatton Hilltop is within Heaton Norris Recreational Park.